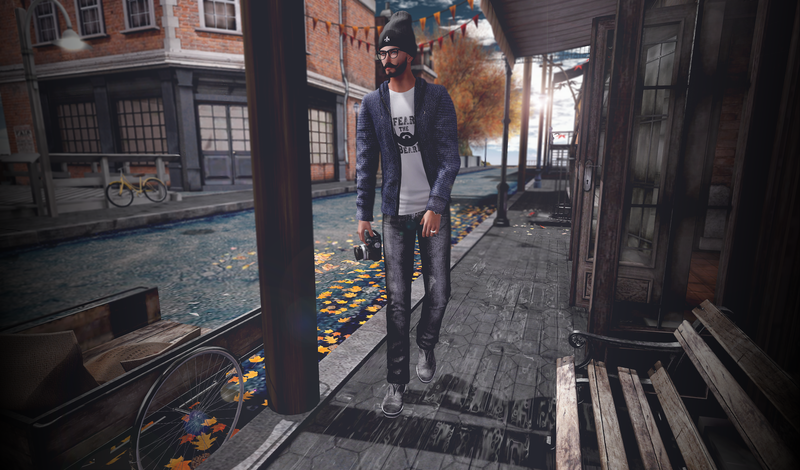 Sad November has a lot of great designers and items out this month, including a great selection of new releases for men! I’ve been loving the hipster style lately, especially on guys, and so Petey allowed me to play dress up with him for a few days. Between that, and sim hopping- this is what we came up with. I just love the ‘Fear the Beard’ style of shirt for the new hoodie combination by Body Factory.